Vacation rental house. 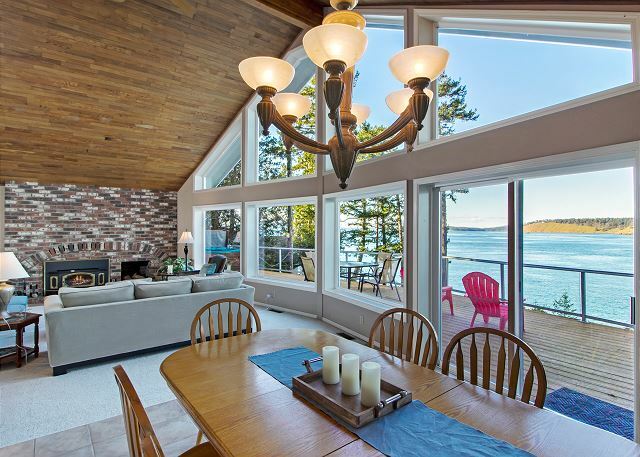 Sleeps 8, 4 bedrooms, 2.75 bathrooms. Dogs allowed. Wraparound deck with grill and hot tub, entrance from kitchen. 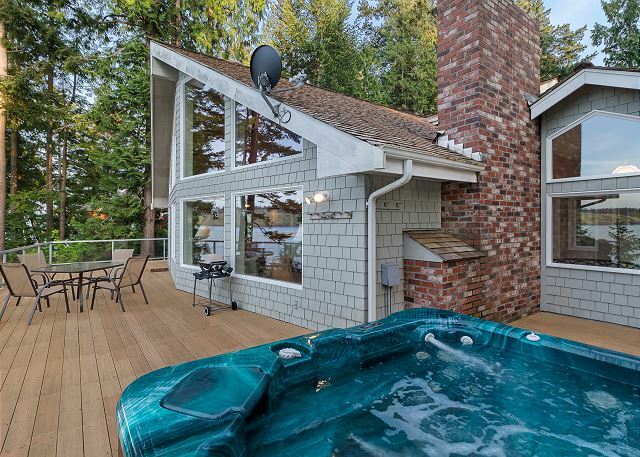 Hot tub accommodates six with great view of the waterfront. A reason why we call it the Sunrise and Sunset House. 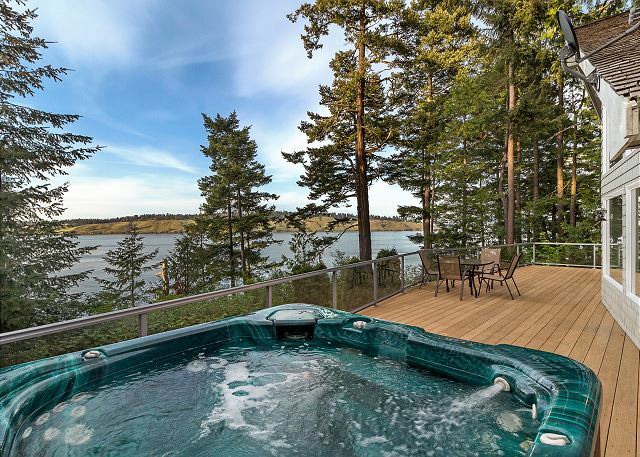 Waterfront home with hot tub and views of Spieden Island. Sunrise and Sunset House. 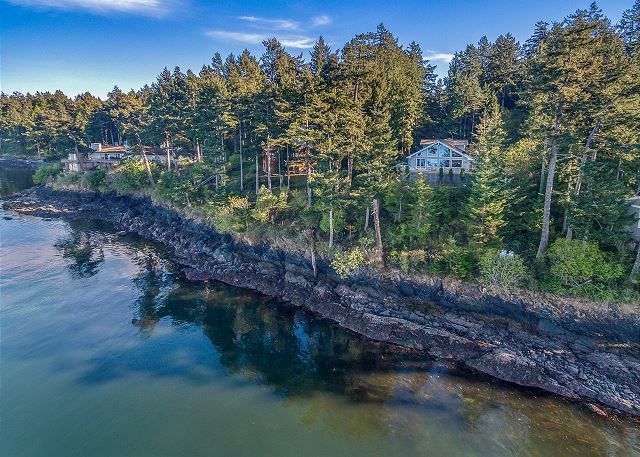 Your quiet home away from home, located just one mile northeast of Roche Harbor Village, is waiting! The perfect spot to escape from the mainland, away from traffic noise and crowds and ease into 'island time'. 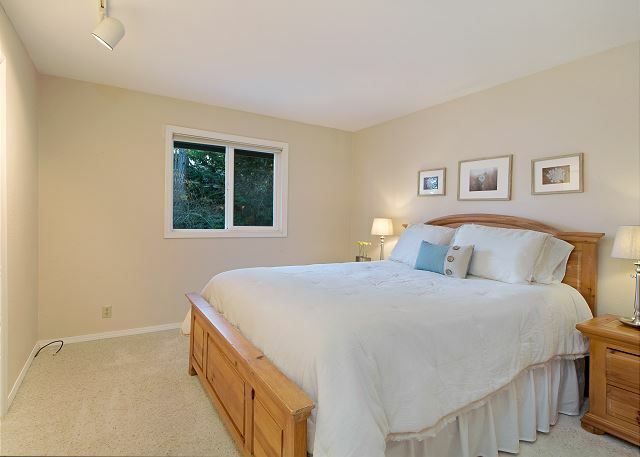 This home has recently received brand new furniture throughout, including new beds, couches, dressers. The kitchen has been stocked with new flatware, an Espresso Machine, and brand new cook-ware! The Entertainment has also undergone an upgrade and now offers DISH for PAC-12 network and local channels. The house sleeps 8 comfortably, with two large living areas. 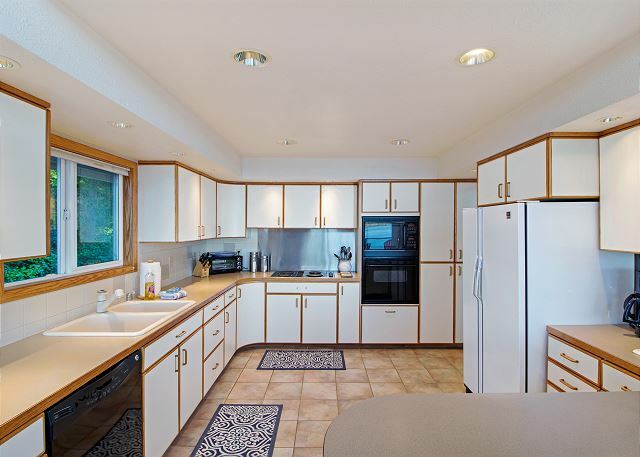 There is a fully equipped kitchen with separate dining room, four bedrooms, three bathrooms and a study. Television and internet via satellite. 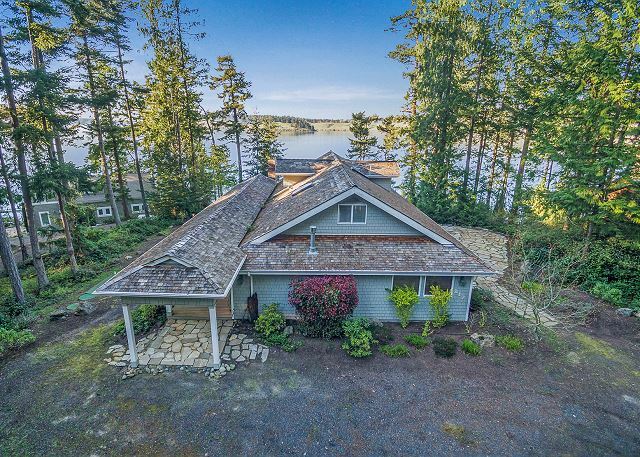 The entire back of the house faces Spieden Channel and there is a wraparound deck complete with a hot tub that can accommodate six. All you need to bring is your clothes and your food - everything else is at the house: linens, cookware, utensils, towels, etc. Bird watching will result in seeing bald eagles, Oregon junkos, American crows, golden finches, northern flickers and a variety of seagulls. Deer drop by often on the property and there have been many sightings of otters, Dall's porpoises, harbor seals, and yes, sometimes the resident orcas pay us a visit. 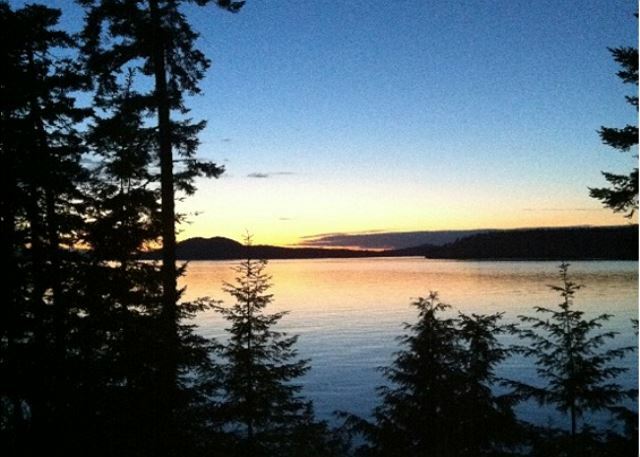 Our home is only 12 miles from Friday Harbor, where the ferry lands. 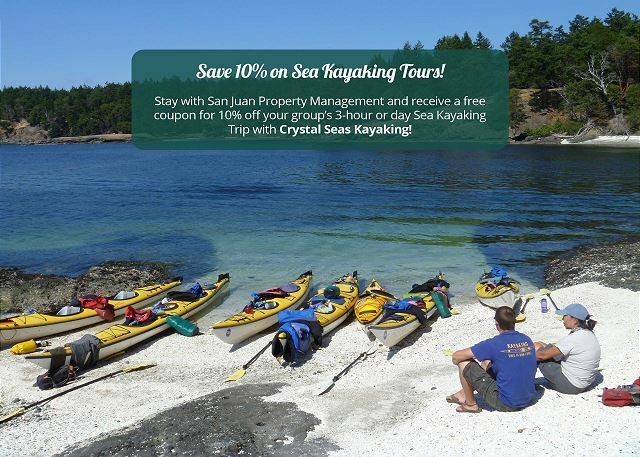 There are plenty of opportunities on San Juan Island to visit historic landmarks, go shopping, stroll around museums, attend a live theater performance, listen to music, hike grasslands or mountains, go fishing in fresh water or salt, walk on a beach, ride a horse, participate in a zip line, attend a farmers' market, learn about the island, explore thrift stores, lose yourself in a bookstore, chat with the friendly locals, sail into the sunset, eat like royalty, commune with nature and sleep like a baby. 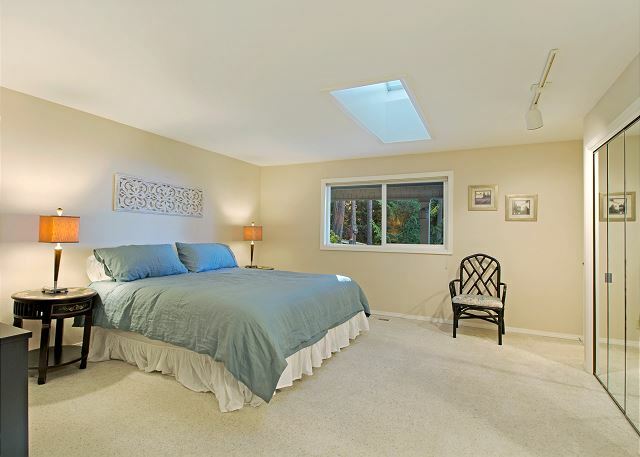 This is a very ample house in a great location, with a dramatic view. 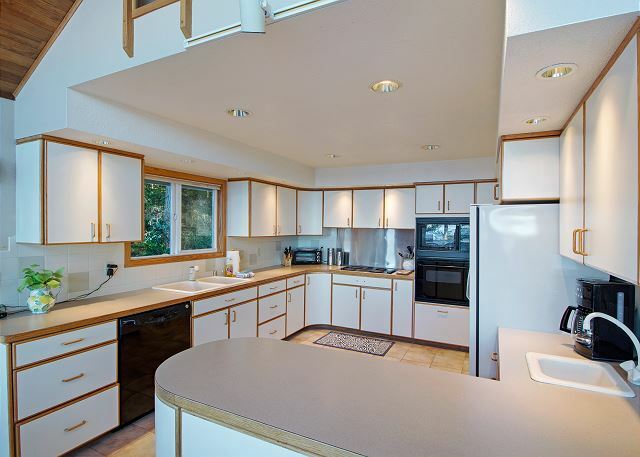 It's clean and pretty well-maintained, though its 1970's roots certainly show through, including in its odd layout. I would stay here again. 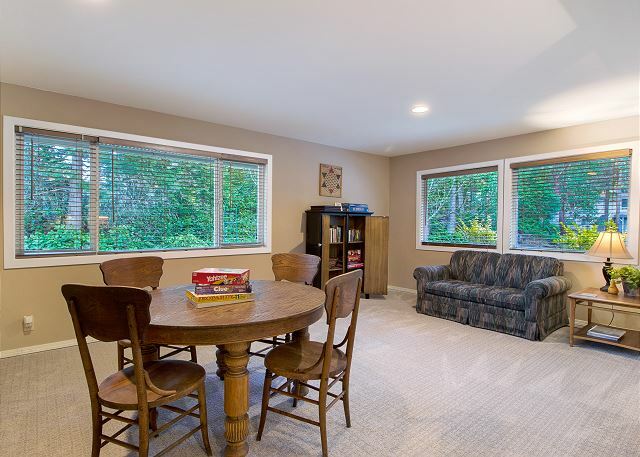 As a family of five we had more than enough room - you could have two families here quite comfortably. Small stuff: The heater controls are a bit frustrating, the heater is a bit loud, the fireplace is cramped and no kindling or matches are supplied. 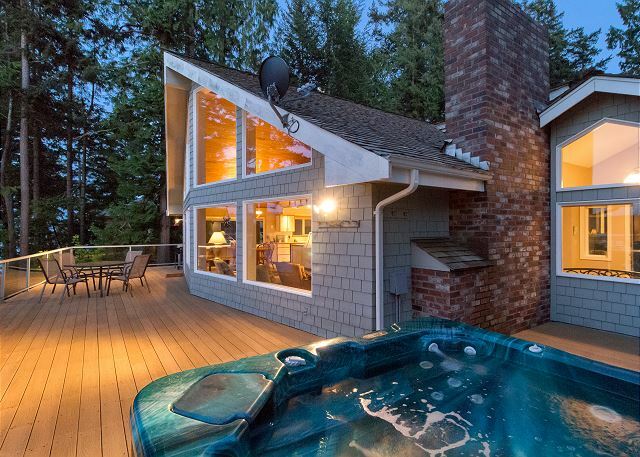 The hot tub could be hotter and the electric fire in the family room is not easily controlled. Furniture could be reconfigured to take better advantage of the view. 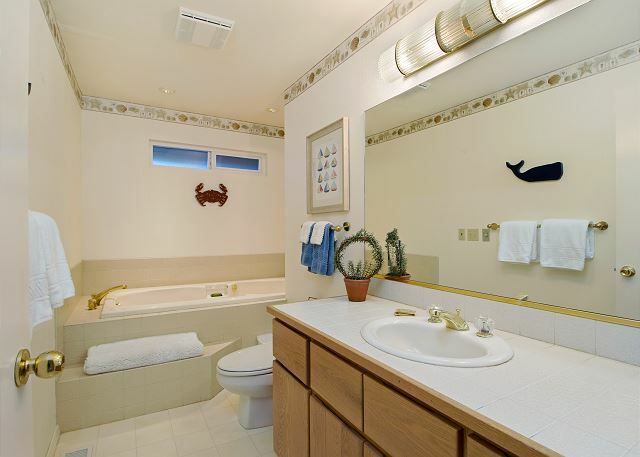 Some of the bathroom fixtures were a bit shaky (i.e. towel rods that seemed to be pretty fragile). But I'm reaching here. It's really a very nice place. 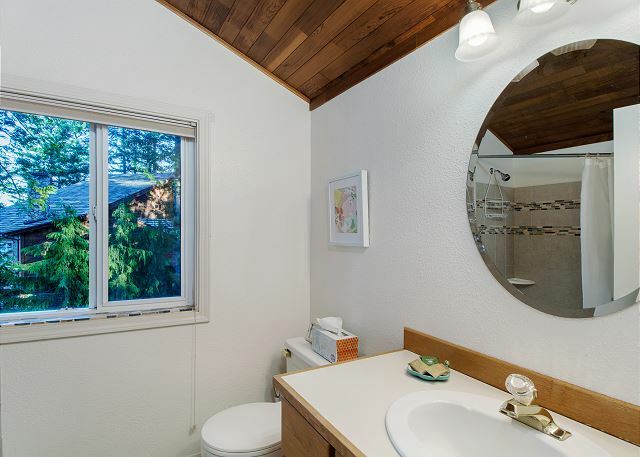 The big window and lovely deck are as lovely as they appear in the pictures. We were 2 senior citizen couples who spent 4 nights at Sunrise and Sunset House. 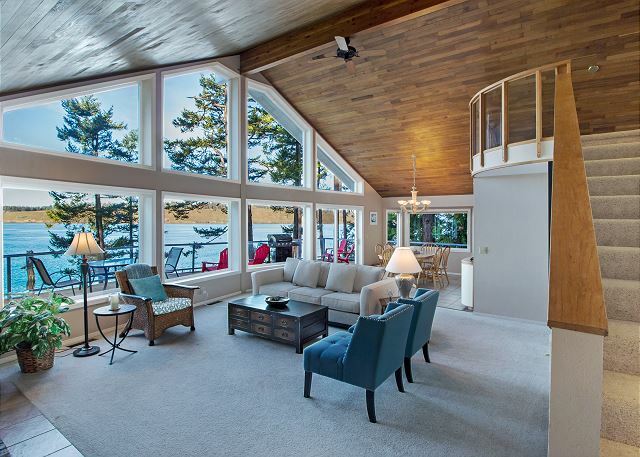 The house is lovely, with picture windows and a great water view. The house was bigger than we really needed but chose it for the special location. 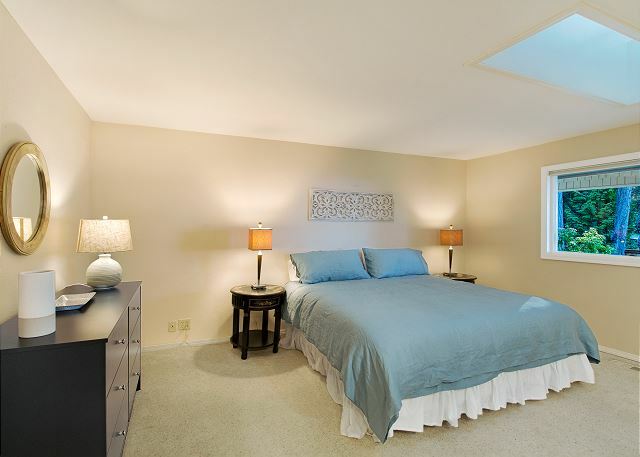 The living areas, kitchen, bedroom, and bathrooms were generally well furnished. The upper queen bedroom and bathroom lacked a couple of amenities which have been communicated to the management. The house was very clean. We had a great time staying here. The house was clean and comfortable. Chen is well equipped. We enjoyed the games, books and movies that were also available. Beds are very firm which wasn't a problem for us but may be for some. We would stay here again. 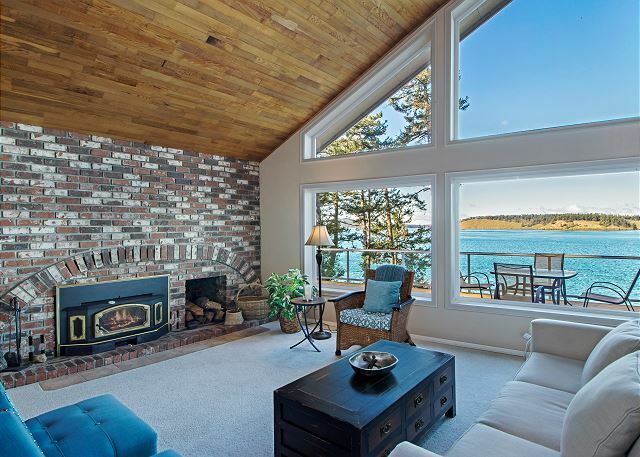 Comfortable, wonderful view, relaxing home. Our rental was beautiful and the setting was amazing! 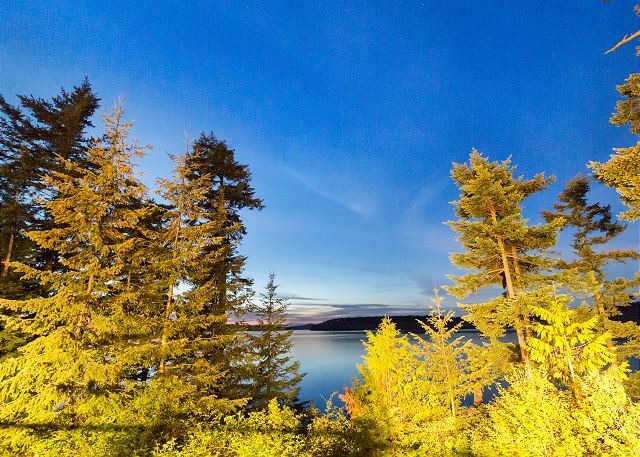 We were there for our sons wedding st Roche Harbor Resort and we were just 5 minutes from the venue. 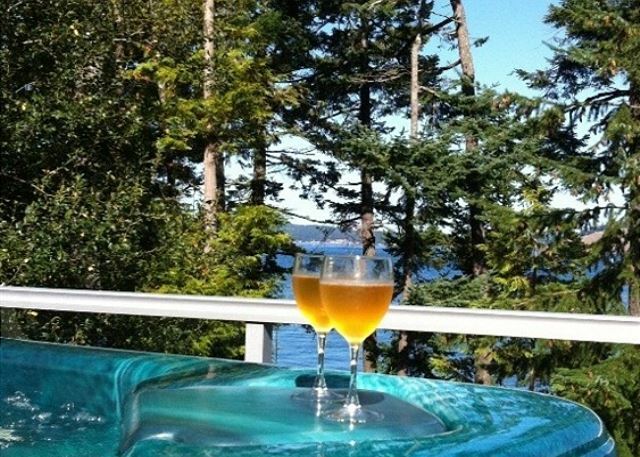 Just wish we had more time to sit on the deck and enjoy the beautiful view! 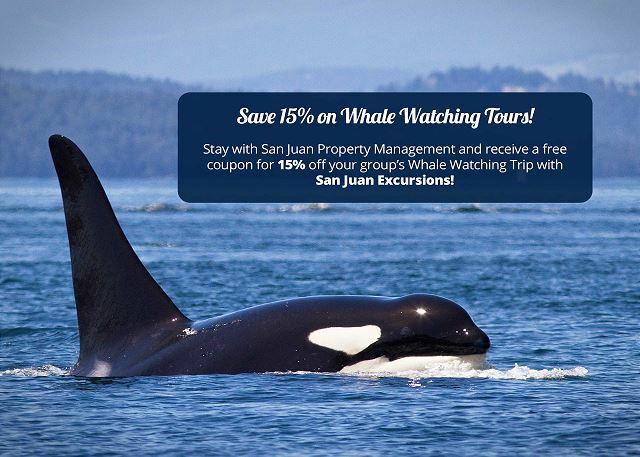 We have stayed on San Juan Island many times in different rentals and this may be our favorite so far. 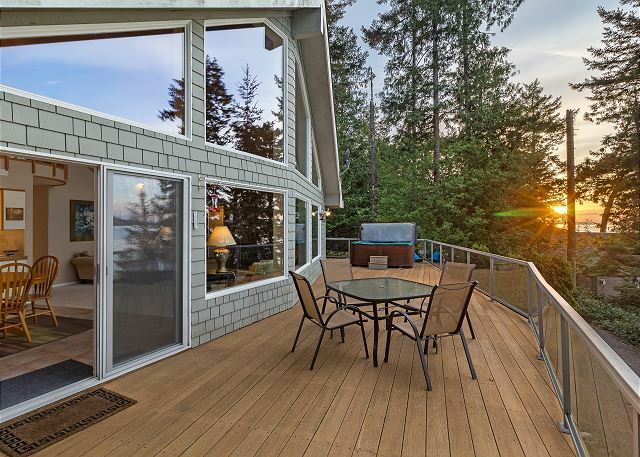 It's a beautiful house and you can't beat the view of the sunset in the evenings. 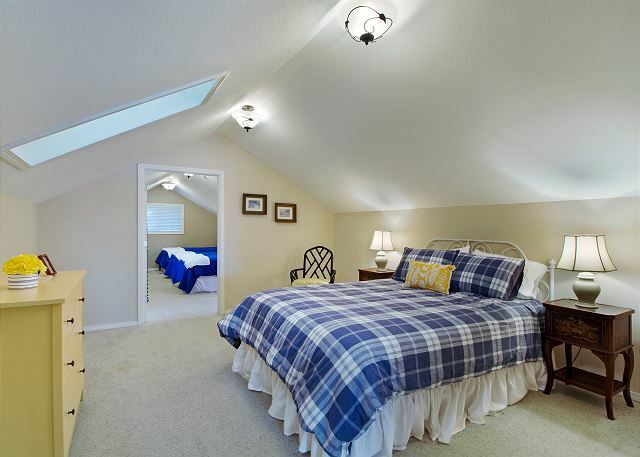 The room arrangement worked well for two adult couples and two children and we could have easily fit another couple. We definitely want to stay here again! Lotsa room!!... Well-equipped kitchen!!!... Really nice view!!!.. Grandones loved hanging at the ‘dropoff’... Good hot water...! 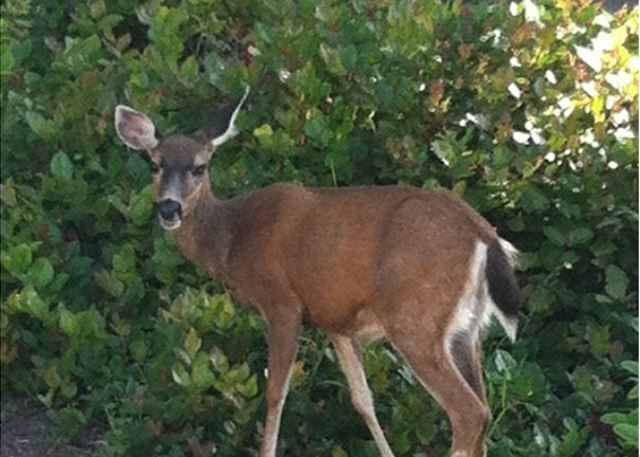 We had our regular deer visit -sweet... —- of course she provoked some occasional barking at several hours..!!.. Several family members staying elsewhere joined us for some meals—made easy by plenty of ‘stuff’ in kitchen... and we could use dining area and deck..!! 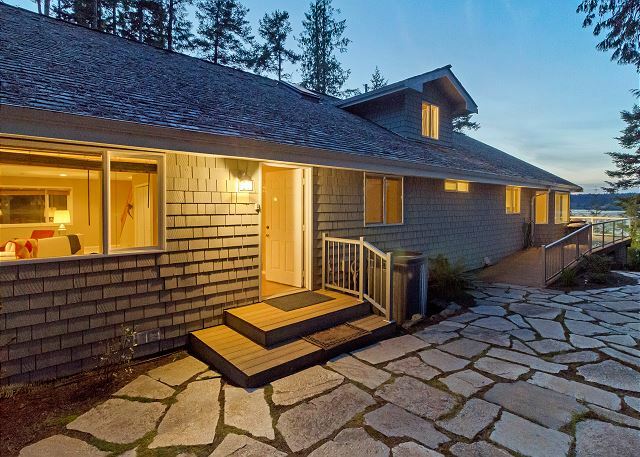 We rented this house for Thanksgiving as a vacation for a group of friends, and it was lovely. 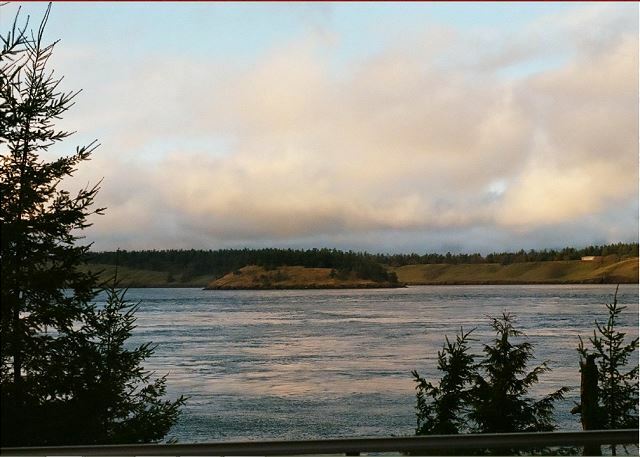 The view was amazing, saw several Orcas from the back deck. Very comfortable space and everyone had a wonderful time. Thank you! Very quiet and relaxing vacation. 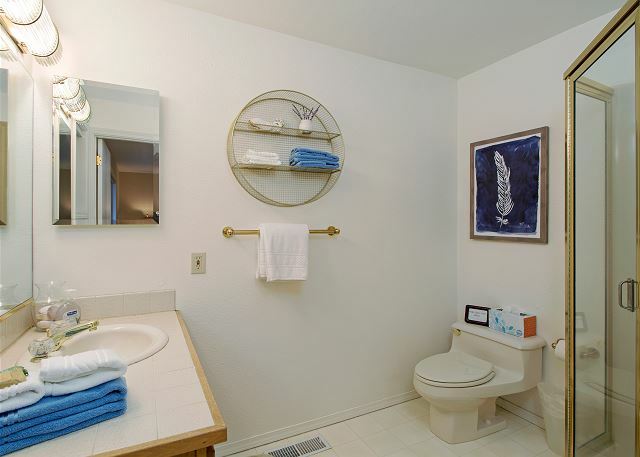 Close enough to everything while still able to maintain privacy and quiet. We rented this house for our family over the Fourth of July. The view was spectacular. Whales, seals and boats passing by and sunsets to remember. Hot tub was delightful. Could have used a working cork screw. We are experienced with both types provided but they were not in working order. 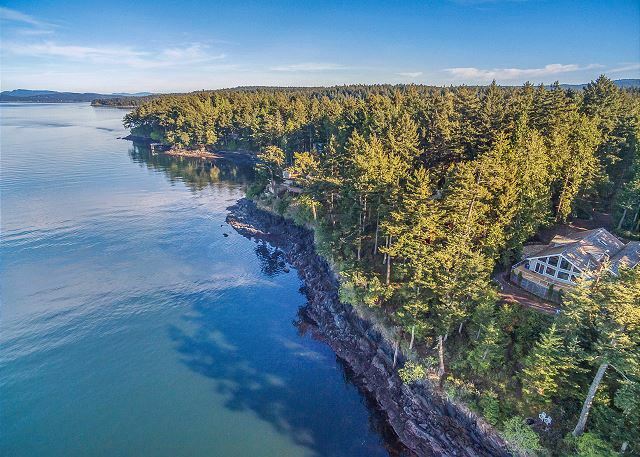 The house is located on a very very dangerous cliff that drops off abruptly to rocks and the ocean below. The brush obscures the actual edge. Children should never be allowed near the area. It would be nice if there was a fire pit up on the upper levels of pavers. A sign describing or marking the edge would be very helpful. 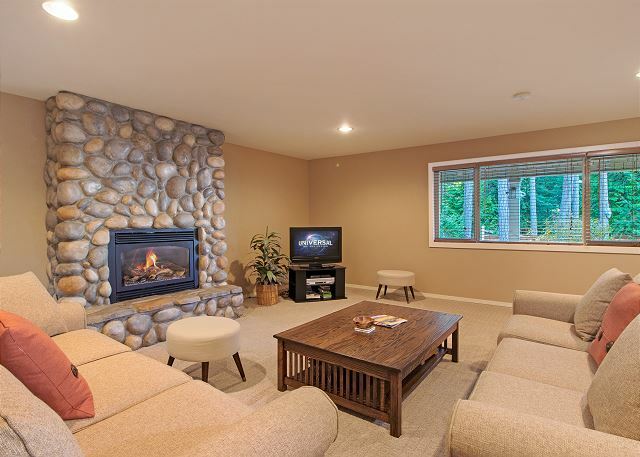 Setting was breathtaking, the house very comfortable and clean. 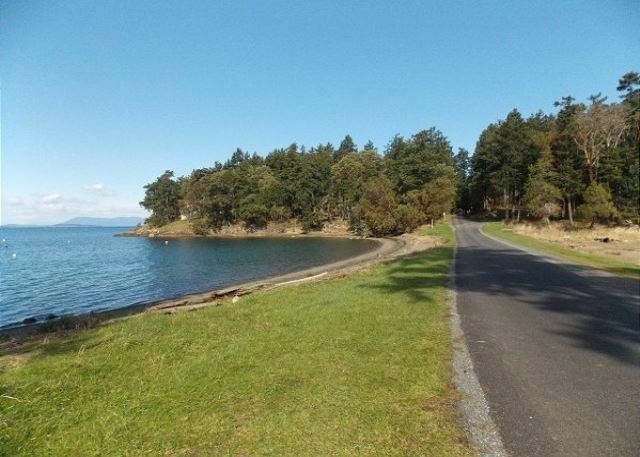 San Juan Island's charm and beauty incredible. 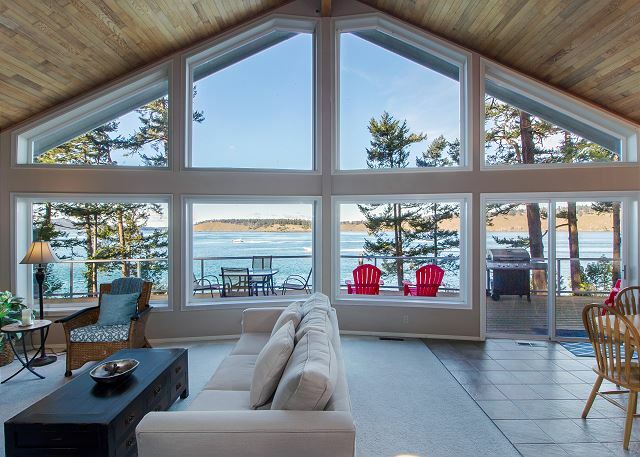 We took a couples vacation to this beautiful home just outside of Roche Harbor and it was absolutely perfect. Everything was spotless-even the jacuzzi was crystal clear. We met a few members of the management staff and they were very friendly and helpful. I would stay here again in a heartbeat and plan to!